"American astronomers say they have strong evidence that there is a ninth planet in our Solar System orbiting far beyond even the dwarf world Pluto. The team, from the California Institute of Technology (Caltech), has no direct observations to confirm its presence just yet. Rather, the scientists make the claim based on the way other far-flung objects are seen to move. But if correct, the putative planet would have 10 times the mass of Earth. "The Caltech astronomers have a vague idea where it ought to be on the sky, and their work is sure to fire a campaign to try to track it down. 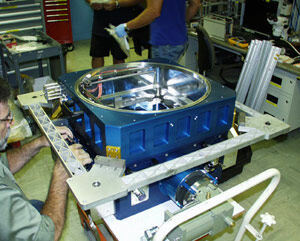 "There are many telescopes on the Earth that actually have a chance of being able to find it," said Dr Mike Brown. 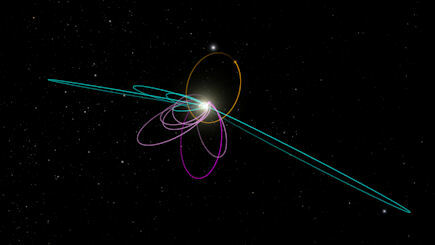 "And I'm really hoping that as we announce this, people start a worldwide search to go find this ninth planet." "Mike Brown, a prominent California Institute of Technology astronomer and self-described “Pluto killer” who discovered several large TNOs that dethroned the former planet, unleashed another statistical argument against the claimed new planets on Twitter. “If it is true that ALMA accidentally discovered a massive outer solar system object in its tiny, tiny, tiny, field of view,” Brown tweeted, “that would suggest that there are something like 200,000 Earth-sized planets in the outer solar system. Which, um, no. So, whilst acknowledging the real potential for the presence of undiscovered large planets out there, he was sceptical that the Atacama team had been lucky enough to stumble upon such an object given the tiny fields of view they were studying when they picked these blips up. It is now clear that he has been on the hunt for this object himself for some time. He seems to have an idea of where this 'Planet Nine', as he's calling it, is located; how big it is; how long it takes to move around the Sun (in it's "highly elliptical orbit"), and how far away it lies. ""Although we were initially quite skeptical that this planet could exist, as we continued to investigate its orbit and what it would mean for the outer solar system, we become increasingly convinced that it is out there," says Batygin, an assistant professor of planetary science. "For the first time in over 150 years, there is solid evidence that the solar system's planetary census is incomplete." "...Batygin and Brown realized that the six most distant objects from [Chad] Trujillo and [Scott] Shepherd's original collection [of distant KBOs] all follow elliptical orbits that point in the same direction in physical space. That is particularly surprising because the outermost points of their orbits move around the solar system, and they travel at different rates. Some of this data will sound eerily reminiscent of Zecharia Sitchin's work (6) - particularly the 30 degree downward tilt of the undiscovered planet's gravitational influence. It's highly elliptical. It's at least ten times the Earth's mass, they think (2). It's located about 600 Astronomical Units away, they think, with an orbit of tens of thousands of years - more like my own conclusions some years ago, as I came to realise that Sitchin's assumption of a 3600 year orbit was likely far too small a figure (7). How easy this object will be to discover depends very much upon what point of its orbit it currently resides in. If near perihelion, then there are a great many telescopes on the Earth capable of discovering it. If, however, it is nearer its furthest point, or aphelion, then only the world's largest telescopes, such as the twin 10-meter telescopes at the W. M. Keck Observatory and the Subaru Telescope, all on Mauna Kea in Hawaii, will be capable of detecting it. Dr Brown hopes that an early release of this work will propel the scientific telescope-wielding community into action. I suspect he figures that his top reputation as arch-planet-hunter will prevent him from being roundly trashed by his peers, as happened to the Atacama scientists last month. Not only that, but this proposal ticks an awful lot of 'Nibiru' boxes, which will bring a lot of public interest to bear on this unfolding science. But why has this object so far evaded detection? Why didn't the infra-red sky survey WISE discover Planet Nine? After all, it's very substantial indeed, and relatively close (lying in the gap between the Kuiper Belt and the inner Oort Cloud). 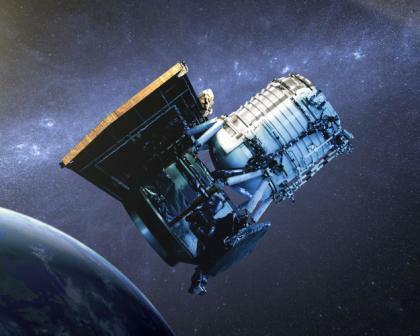 That's a critical issue here, as the scientists working on the WISE data seemed to rule this possibility out in no uncertain terms, declaring that no Saturn-sized planet could be lurking within 10,000 AU (8). By contrast, Planet Nine may be a mere 600 AU, or less, albeit much smaller than Saturn by Batygin and Brown's reckoning. Even so, surely WISE should have spotted it? It's not just the proverbial smoking gun they seek, but also some accompanying high-inclination grapeshot! That, for me, is where things may yet get very interesting indeed! We could find that this object is substantially greater in mass than a 'Super-Earth', but is instead a compact gas giant. I've always thought that such an object would be found in a highly elliptical orbit sweeping through the zone between the Kuiper Belt and the inner Oort Cloud. After all, that would make sense of why that area is largely devoid of material. That judgement seems to correlate reasonably well with the results emerging from this latest scientific study. Ten Earth masses is a minimum, it seems, and could stretch to a much larger object if it's current position lies near aphelion (maybe as far as 1500 AU out?) and if it's orbit is highly eccentric (likely). Either way, the indirect evidence is becoming compelling, and I think that the discovery of this object is now within sight. It may not turn out to be quite what Zecharia Sitchin had in mind. It's orbit will be tens of thousands of years, not 3600 (which, I think, was an educated guess on his part). It may no longer penetrate the planetary zone during its perihelion transit, but instead sweep through the massive gap between the Kuiper Belt and the inner Oort Cloud in its highly inclined, highly eccentric elliptical orbit. 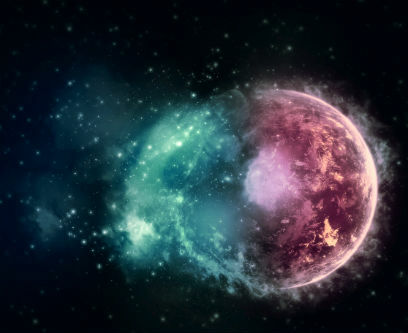 It may be a gaseous world with it's own 'system' of planets/moons. Depending on its size, it may qualify as an ultra cool 'Dark Star'. But even if this is the case, Sitchin's general thrust about a mythical Planet X object may turn out to be right after all. If it quacks like a duck, and walks like a duck... well, you get the picture. Planet 9 from Outer Space? A week on, and Dr Mike Brown and Dr Konstantin Batygin, the two astrophysicists proposing the existence of their 'Planet Nine', have sketched out the range of orbits which their object might be moving through, including its all-important approximate perihelion and aphelion positions. Essentially, Brown and Batygin consider the perihelion position of the Planet Nine body to be in a broad region around the zodiacal constellations Scorpius/Sagittarius (R.A. = ~16hrs), whilst the aphelion position of Planet Nine is likely in the equally broad Orion/Taurus area (R.A. = ~4hrs) (1,2). This aphelion/perihelion axis is of great importance to me, because it is precisely the one that arises out of Zecharia Sitchin's work on the much defamed Planet Nibiru. Actually, the similarities go deeper than that, as we shall see. Where the Caltech team have decided upon a preferred inclination to the ecliptic of 30 degrees (2), decades ago Zecharia Sitchin agreed with Dr Robert Harrington's assertion that Planet X also had an inclination to the ecliptic of about 30 degrees (3). Sitchin believed that this 30 degree inclination corresponds with 'The Way of Anu' in ancient Sumerian texts (3). Compare this to the orbital properties of Planet Nine: The Caltech team noted that "the orbits of the six objects [they studied] are also all tilted in the same way—pointing about 30 degrees downward in the same direction relative to the plane of the eight known planets" (4). "Alone he stretches out the heavens and treads upon the farthest Deep. These are eerily similar constellations to those being discussed by the Caltech scientists. Combined with the high inclination, and the elliptical nature of the orbit, then Sitchin looks like he really was on the money. He considered the size of Nibiru/Marduk to be between that of the Earth and Uranus, too, and would have been perfectly comfortable with the Caltech hypothesis that Planet Nine is an ice giant core - a planet essentially like Uranus stripped of much of its extensive outer atmosphere. The only thing Sitchin appears to have got wrong is the orbital period, which he assumed to be 3,600 years, based upon the importance attached to the Sumerian quirky numerical system's 'royal number', the Sar (5). Perhaps he would have been better off opting for the šar'u - 36,000 or 10 Sars in Old Babylonian (6). This would have corresponded more closely to the proposed Planet Nine orbital period. By the time I wrote my book 'Dark Star' back in 2005, I had already realised that 3600 years was too short a periodicity, and broke with Sitchin's central thinking. I argued that the Kuiper Cliff, at about 48 AU, marked the least possible perihelion distance, to prevent widespread scattering within the solar system over time. My diagrams in that book (7) are very similar to Brown's and Batygin's now, eleven years on. I drew an elliptical orbit which stretched from a point beyond the Kuiper Belt to the inside edge of the inner Oort Cloud. In my analysis of Sitchin's work on Nibiru, I concluded that the perihelion constellation was Sagittarius and the aphelion position close to Orion (7). I appear to have got the exact same axis as the Caltech team, but 180 degrees in reverse. This may yet prove accurate, though, because the work they have published is based upon the assumption (which they strongly argue for (8)) that the clustered orbits of the six extended scattered disk objects should be anti-aligned with respect to Planet Nine. If they are aligned, on the other hand, then the aphelion/perihelion positions are exactly opposite of the Caltech positions. In that case, I'd be right, with perihelion in Sagittarius. We'll see. But haven't we already had sightings of a massive Planet X in both Orion, and also in Sagittarius before? Planet X geeks (of whom I am, of course, a prime example) will remember the controversy surrounding a report in the Washington Post back in 1983. 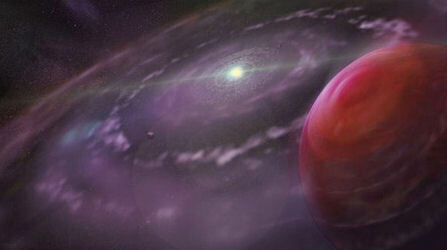 A public announcement was made that a Jupiter-sized Planet X body had been discovered by the IRAS infra-red sky survey, in Orion (9). 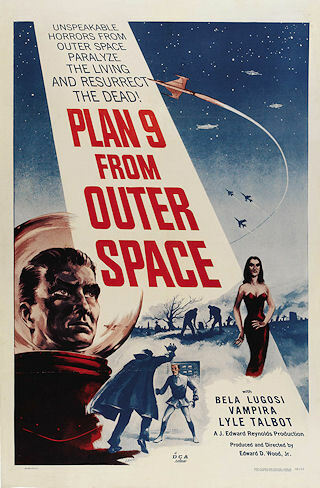 It has become the subject of any number of Planet X conspiracy theories since then. It seems most likely that the IRAS astronomers instead found either a dense gas cloud in our own Galaxy, or a Ultra-luminous Infrared Galaxy (10). 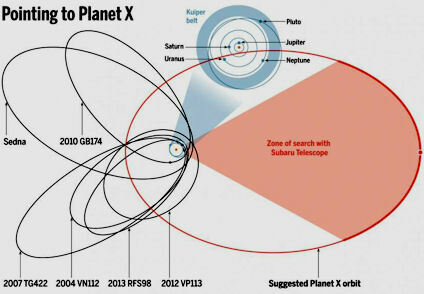 But what if they had really spotted Planet X, in the position proposed in 2016 by the Caltech scientists? Similarly, there was a report on a mysterious IRAS object in Sagittarius (11), which created some controversy at the time between factions of the international team working on the IRAS data (12). 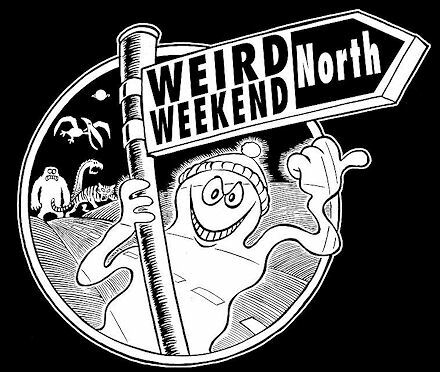 It is curious, then, that there should be two published scientific reports back in 1983 about warm objects found in the exact same constellations now marked out as likely positions for a Planet Nine body. Both of these zones are densely packed with stars due to their proximity to the Milky Way. Both have been of interest to Planet X hunters for years due to their association with the proposed orbit of the mythological Sumerian planet Nibiru. 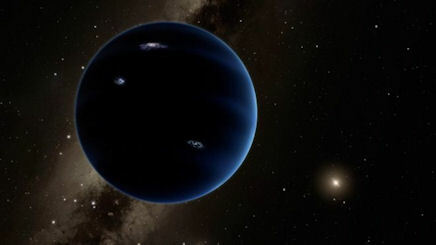 I heard an interview on the BBC news on Sunday with Dr Mike Brown (13), and he roundly dismissed any talk of Nibiru or the Sumerian 'Epic of Creation' mythology being connected with his proposed Planet Nine. Yet, as I have shown in this short article, the similarities between these two theories are really pretty remarkable. 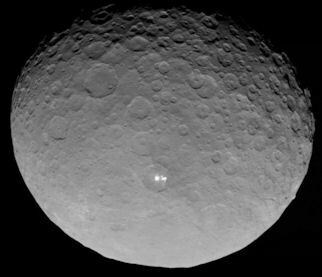 The bright spots in some of Ceres' craters, imaged by the Dawn space probe, have created plenty of speculation about surface ices and salts reflecting the Sun's light (1). The number of these spots is now about 130 across the surface of the main belt asteroid (2). The most intense location for these bright spots is in the Occator crater, and analysis of the areas concerned has led to the conclusion that the highly reflective materials on the surface of these craters are indeed salts. These salts may have been left behind after the sublimation of briny water-ice driven to the asteroid's surface after an impact with another asteroid. Now, the snowline of the solar system is located somewhere between 1.7 and 2.7 Astronomical Units, depending upon how you calculate it (5), and the semi-major axis for Ceres is about 2.8 AU. So, Ceres straddles the universal snowline, and is clear over the border with the lower theoretical value of 1.7 AU. (Note that the Earth is well within the snowline, implying that the Earth should not have water at all, as it would have been water vapour here when the planet was forming - but that's another story, albeit of great interest to this blog). If Ceres manages to remain over-the-snowline border for water-ice, it most certainly does no such thing for ammonia, which has been found to be abundant on the asteroid. Simply put, Ceres is located too close to the Sun to have ammonia. Yet it has. How? Once again, the solar system which, on the face of it, appears tranquil and settled, has revealed a past with any number of skeletons lurking in its closet. The largest asteroid in the main belt is either an interloper from the outer solar system, or else the inner solar system was bombarded by debris from without, containing an abundance of ammonia. A third alternative, raised by my colleague Lee Covino, is that ammonia may have been produced by internal geophysical processes, below the ocean, of a watery planet which once occupied the asteroid belt zone (i.e. 'Tiamat). Such processes have previously been proposed to explain the initial formation of various biochemicals important to the emergence of life (6). Upon the catastrophe event that split Tiamat apart - causing the main chunk of the planet to migrate inwards to become Earth - the asteroid belt would have been formed by the debris, including ammonia-contaminated water. It's not clear what the scale of the production of ammonia through this process is, and whether it would be sufficient to explain the abundance of the chemical on Ceres, but given that the authors of the report at the Carnegie Institute discuss ammonia's role as a greenhouse gas in the atmosphere (6), one assumes there would be a considerable quantity! A new essay by Robert Schoch PhD, associate professor of Natural Sciences at the College of General Studies in Boston, discusses the possible existence of a companion 'Second Sun'. "Lately I have found myself thinking about the question of whether or not our Sun might have a companion. Is the Sun part of a binary or multiple star system? Astronomers have estimated that anywhere from 30% to over 80% of all stars may be members of binary or multiple star systems, so why not the Sun? The classic response is that if there was a "Second Sun," then we should see it! But the situation may not be so simple." I understand that the article delves into how the Earth came to have its precessional wobble, and also the missing angular momentum of the solar system. Without having read the complete article, published in 'Atlantis Rising' magazine, it seems that Dr Schoch has been partly influenced on Walter Cruttenden's 'Lost Star' book from 2005 (2), as Graham Hancock was at the time. In my opinion, the problem with Cruttenden's original hypothesis is that the object would have to be about 80 Jupiter masses for this to work at the distance he was discussing - which would be a top-of-the-range brown dwarf binary companion (3), even extending into the range of red dwarf stars, which Dr Schoch also alludes to in his article. This is not realistic, as such a huge object would be highly detectable with even basic equipment in that circumstance. Perhaps in response to this key issue, Mr Cruttenden's hypothesis has evolved into a more nebulous model of a moving solar system over time (4). I hope Dr Schoch also lowers his sights to a sub-stellar companion, like a ultra cool sub-brown dwarf (a Y dwarf in astronomical parlance). Even if the precession issue may be a red herring, the angular momentum thing is almost certainly a real anomaly, and it's good to see another researcher (especially one with Schoch's scientific credentials) seriously consider the sub-stellar companion solution to the solar system's increasing bag of mysteries. Dr Schoch references the excellent 2015 article by the American engineer R.F. regarding the angular momentum anomaly (5,6) and a proposed Dark Star companion. A more recent academic paper, written by V. Netchitailo, a physicist specialising in lasers, includes the potential for stars made of Dark Matter (8), which I reviewed in a previous blog (9). There are also other non-Dark Matter alternatives being considered for massive, enigmatic occulting objects discovered roaming the Milky Way (10). There may be a place for an exotic solution to this mystery, but it does involve a considerable leap in faith. To my mind, an ultra-cool failed star is far more likely to eventually prove to be the solution. 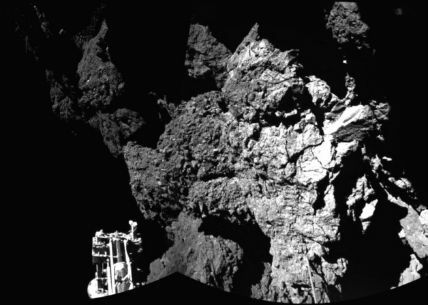 It's regrettable that Rosetta's Philae lander has not been back online since losing contact some months ago (2), because the plucky little lander could have brought some of its best scientific equipment to bear on the crucial issue of the constituents of this comet water ice. After all, it now looks like the expected ice lies just a few feet below the darkened soil and rocky surface of the comet. This is in contrast to the initial theoretical expectation of an abundance of gleaming surface ice long held by astronomers. But at least it's there, which should provide impetus for future missions to comets, including some drilling equipment built into the lander rig. In terms of the hydrogen/deuterium ratio of the comet's water, we are left with just the data from the water sublimating off the comet into space, creating the comet's glorious tail. This water is very heavy in deuterium, compared to the Earth's own aqueous deposits, implying that the water on Earth came not from comets, but (if it came from anywhere at all) the asteroids (3). This is a discussion that's been had several times on this blog (4) and is crucial to understanding the origins of not just our water, but of the Earth itself. 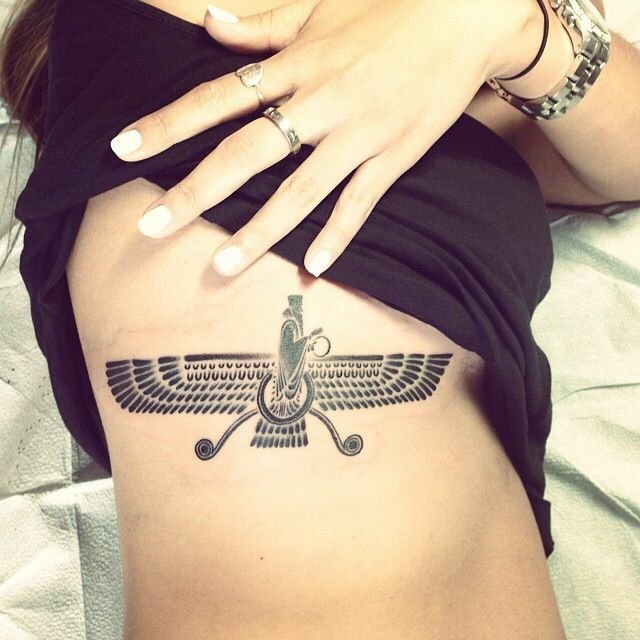 One of my correspondents, Cigarette Smoking Man, wrote to me recently and sent me this wonderful image of a Mesopotamian winged disk tattoo (1), most likely of the Zoroastrian deity Ahura Mazda or, possibly, the Assyrian deity Ashur. I wanted to share it with you. Come to think of it, a tattooed mystery planetary orbit would make a rather good plot device in a Dark Star novel. Anyway, this reminded me of an article I wrote about one of footballer David Beckham's tattoos some years ago, one of which was a rather enigmatic Winged Cross motif (3). Grabbed a lot of attention, which is something Beckham's particularly adept at doing. "For over 100 years, astronomers have searched for a missing planet in our solar system, located beyond Neptune. In this talk, I will provide a potted history of this search; an overview of the many varieties of Planet X considered (Nemesis, Nibiru, Tyche and, more recently, 'Planet Nine'); and the latest scientific evidence driving this hunt to a whole new level. I will also discuss mythological ideas about Planet X, connected with ancient aliens and human origins."